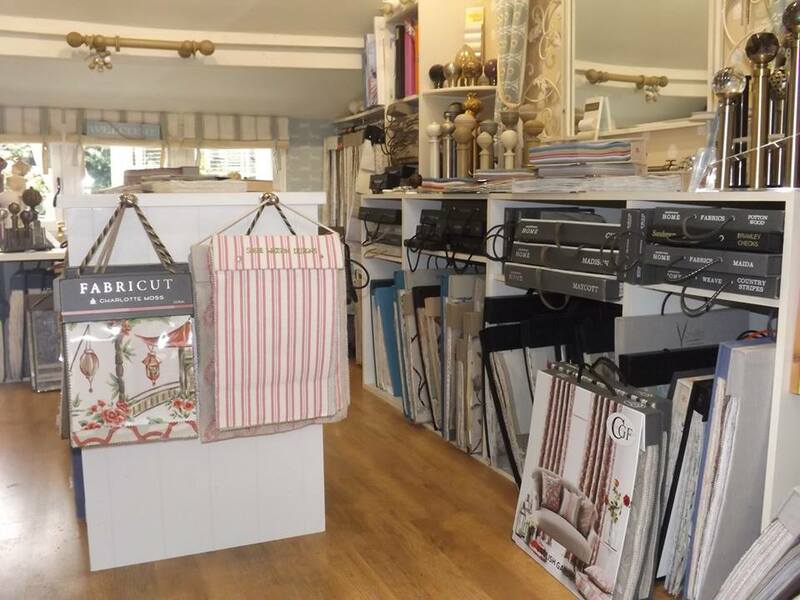 ​We have a lovely showroom where you can browse a wide range of fabric books and hangers and see our selection of poles, tracks and trimmings. 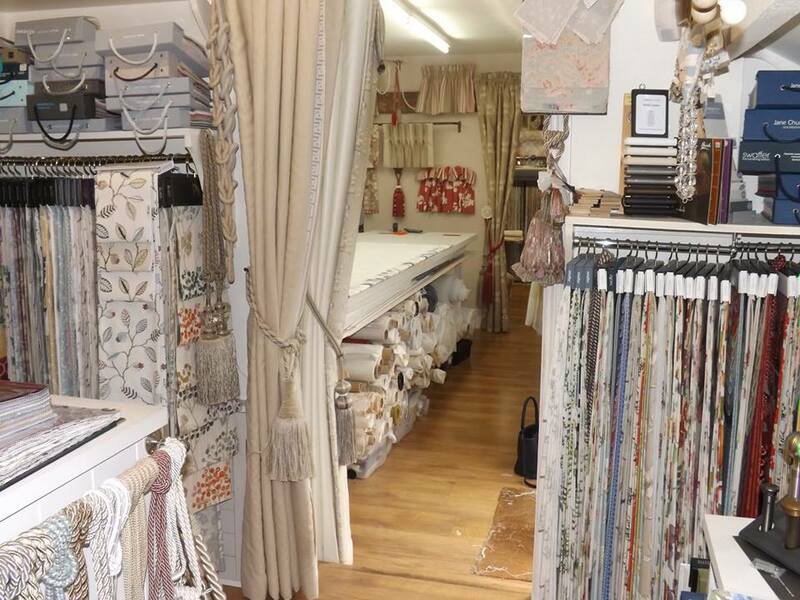 We also display a samples of the styles of curtains and blinds that we have designed and can make for you..
Our show room leads into our workroom where all our hand-crafted curtains and blinds are made. ​We are open Monday - Friday. 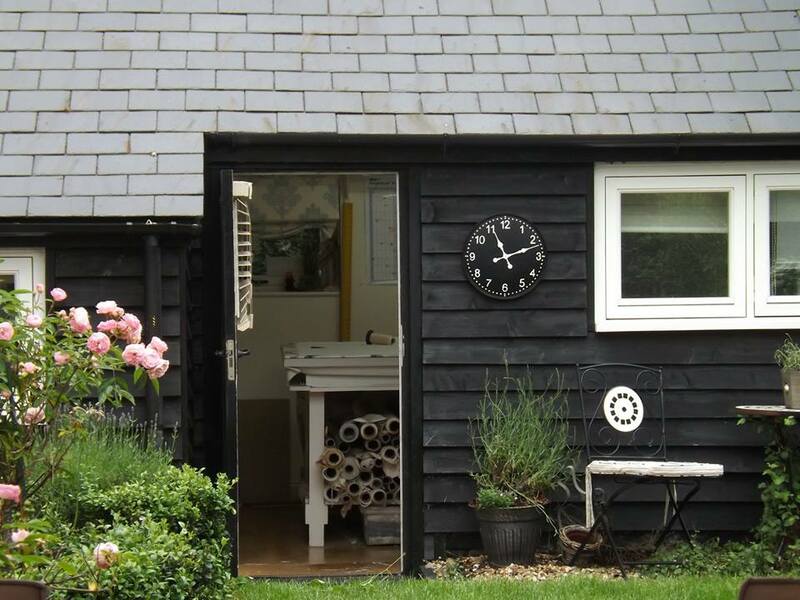 We sometimes close to visit clients so it is advisable to phone first if you are planning to visit our showroom . Usually, if our sign is outside we are here. 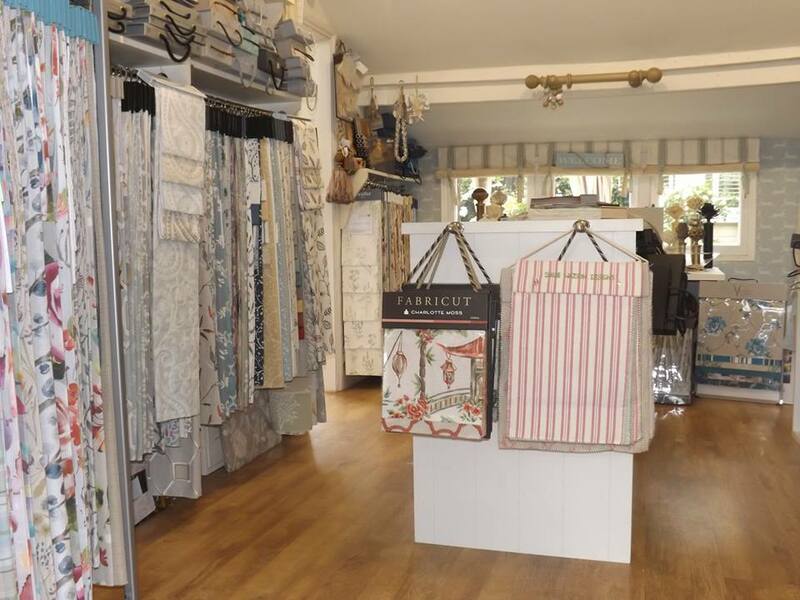 Remember Grasshoppers Interiors for all the following products and locations - Curtains - Poles - Curtain Tracks - Roman Blinds - Curtain Poles - Blinds - Made to Measure Curtains - Soft Furnishings - Roller Blinds - Bespoke Curtains - Shutters. Hampshire: Yateley, Hook, Hartley Wintney, Odiham, Elvetham, Fleet, Farnborough, Aldershot, Basingstoke. Berkshire: Reading, Wokingham, Bracknell, Crowthorne, Windsor, Ascot, Sunningdale. Surrey: Camberley, Blackwater, Farnham.